Bill Gates now is not the richest man of the world. The richest man on the world is Carlos Slim Helu says The Guardian..
Latin America’s richest man – Carlos Slim Helu added more than $6 billion to his fortune this year. He sold off his stakes in MCI and Altria and used the proceeds to up his holding in Saks Inc; in his fixed line operator, Telmex; and in America Movil, his flagship wireless telecom outfit. The latest was a particularly smart move as America Movil’s stock has almost doubled in the past year. Carlos Slim Helu also owns 71% of a new public company, Impulsora del Desarollo Economico de America Latina, which he spun off from financial services giant Grupo Financiero Inbursa. Inbursa also invested in a start-up budget airline called Volaris. An art collector, Slim houses his Rodin sculptures in Mexico City’s Museo Soumaya, the museum he funded and named after his late wife. His Grupo Carso is reportedly a combination of his first name and his late wife’s. Carlos Slim Helu is now the world’s richest man is worth an estimated $US67.8 billion. This Mexican tycoon has overtaken Warren Buffet and Bill Gates according to a respected tracker of Mexican financial wealth: Eduardo Garcia from Sentido Comun an online financial publication he founded. A 27 per cent surge in the share price of America Movil, Latin America’s largest cell phone operator controlled by Carlos Slim, from March to June made him close to $8.6 billion wealthier than Bill Gates (which Garcia figures Gates is worth $59.2 billion). Meanwhile, Forbes magazine has reported in April that Slim had overtaken Warren Buffet but not Gates. Forbes had increased Carlos Slim’s net worth because gains from his holding company Carso and fixed-line telecom Telmex added to the Mexican’s fortune while shares of Buffett’s Berkshire Hathaway Inc fell in the same period. Garcia calculated three months ago that Carlos’ value was just more than gates by a tiny bit but now he has no doubt who is richer. 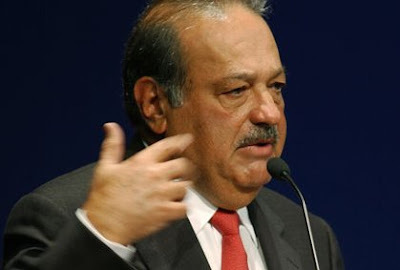 Carlos Slim’s companies rose sharply with shares of Telmex in the second quarter rising 11 percent and Slim’s bank, Inbursa, saw its stock increase by 20 percent. Garcia figures that Slim and his family own a fortune equivalent to 8 per cent of Mexico’s gross domestic product. According to Sentido Comun, for Gates to be worth 8 percent of the U.S. economy, his fortune would have to grow to more than $13 trillion, 17 times his current wealth. Great know that you are now the richest man in the whole wolrd you have come from far.You staterted somewhere and here you are now. How can I be rich like you as I have nothing in todays world for me I have nothing. I admire you greatly as all of us cannt be rich. there must poor and rich.